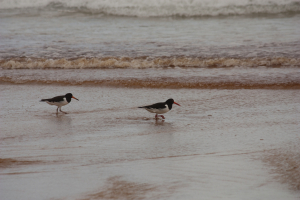 Observation - Oystercatchers - UK and Ireland. Description: Small group (3) oystercatchers looking for food at the sea edge. Small group (3) oystercatchers looking for food at the sea edge.